Digital Archive | Your Light, of the Age. 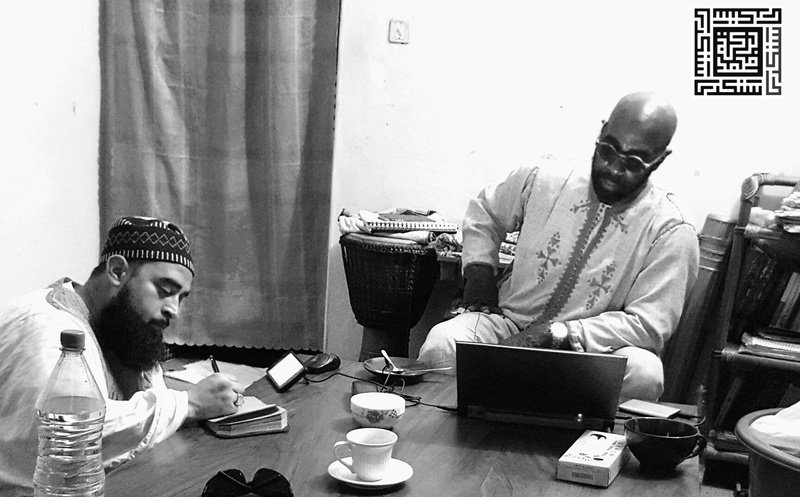 Imam Hamza Perez with Shaykh Muhammad Shareef in Benin receiving license in order to transmit sound chains of authority to our brothers in America. Thank you for accessing this page where we will continue to update and add content from the many translations that are being completed. There is a lot of effort on many fronts to provide this content to as wide an audience as possible. SIIASI is honored to provide the world with the anthropological evidence of a rich Islamic legacy and contribution that has been bequeathed to us from our ancestors, may Allah have mercy on them. It is our intention to keep the content and the discussion rich and full of positive and enlightening conversation. Feel free to share with us your suggestions, comments, and concerns as we move forward with our various projects and developments. Q: Yaa Abu Alfa, do we substitute the shehu’,s awraad for the prophet’s Sunnah? Do we do both, or which one is preferable??? as-Saalamu’ Alaykum wa Hakeemutulaahi, wa barakatuhu! I am become familiar with some text from Islamic scholars through research about the portents of the hour, and the signs of syed al-Mahdi. Phsical descriptions from his shoulders, face, the mole on his right cheek, and his right hand, down to the leaf marking on his lower back. I’ve read also that syed al-Mahdi will be a black man, and that he will come from the west in a large city (medina) and not the city ‘al-Medina’ in Arabia. I aslo read that he will look like the children of Israel in appearance and stature, but he will be 100 percent hashim from the seed of Ali (RA). And I’ve also learned that syed al-Mahdi will not be a fluent Arabic speaker, but will understand the Qur’an and it’s esoteric secrets. All these things I believe. I believe from these scholars, however I want to see more of this explained by some of the scholars of the fodiwa. Perhaps there are some book written by Shehu and company on the physical descriptions of this savior, and you can post it? Inshallah, may Allah make your affairs easy. As Salaamu Alaykum , which Arabic font more closely approximates the West African \ Sub Saharan style Arabic calligraphy? If you are unable to download any of the files, they can also be obtained at https://siiasi.academia.edu/heixuanfeng where you will also find additonal works not posted here on SIIASI.